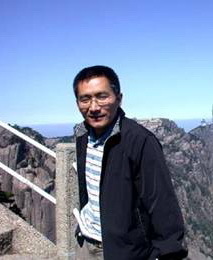 Wen Wang, doctoral supervisor, principle investigator, CAS. Head of CAS–Max Planck Junior Research Group, Kunming Institute of Zoology, CAS. Deputy Director of Evolutionary Genomics, State Key Laboratory of Genetic Resources and Evolution. 1995.10-1996.6, Visiting student at Center for Environmental Research and Conservation, Columbia University, New York, USA. 1992.12-1996.9 , Ph.D., Kunming Institute of Zoology, CAS, Supervisors: Shi Liming and Wu Heling. In the post genomic era, to delineate numerous data is both a popular topic and a challenging scientific task. Our laboratory focuses on the study of genome in evolution, such as new structures in genomes and evolutionary mechanisms of their new functions. Specifically, our research interests include revealing mechanisms of new genes’ origination and evolution, using new genes as the system to study formation and evolution of new pathways and gene networks. Through the approaches from genetic, evolutionary and developmental studies, we aim to elucidate relationship between genotypes and formation of phenotypes, and adaptation of organisms. 6. Song LT, Wang W*, Genomes and evolutionary genomics of animals, Current Zoology, 59(1) (2012), 1674-5507. 48. Wang W, Lin FY, Shi LM. 1994. Mitochondrial DNA polymorphism in the natural populations of Drosophila albomicans. II. Genetic differentiation among different geographic populations. Chinese Journal of Genetics. 21: 147158. 49. 王文, 刘爱华，施立明，谢德文. 1994. 家鸡和原鸡的线粒体DNA多态性比较. 动物学研究 15: 55-60.